Reliance have continually invested in prototyping facilities for product development, including an independent manufacturing cell dedicated to design & development. The depth of technical experience of the prototyping team together with their metrology expertise means that vital information can be fed back to the design team concerning the manufacturability and performance of the component or assembly, allowing refinements to be carried out prior to production ramp up. 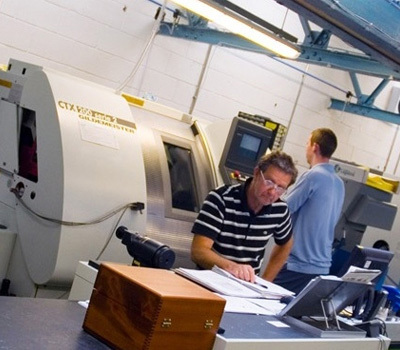 The facility has a comprehensive selection of machinery including manual and CNC lathes, manual milling machines, true 5-axis CNC machining centres, gear cutting, grinding and wire erosion. It is ideal for the development of single piece parts and complex assemblies, and is fully covered by our quality systems and traceability.